In the “Please Say It Ain’t So” category, President Obama increased 2016 funding for the drug war in his next budget. Wait, haven’t we determined, by all measures, that the War on Drugs has failed? And haven’t we realized that dismantling the drug war is a great place to save billions of dollars each month? So why does the president’s 2016 budget raise total drug war funding by over a billion dollars a year, to $27.6 billion? Disgustingly, the Drug Enforcement Agency got a raise. In the last few years, the DEA has played a key role in restricting use of and research into medical marijuana. From research done that skirts these tight restrictions, and especially from research in Israel, Spain, Italy, and other countries around the globe, we now know that cannabis has powerful preventive, palliative, and curative medical properties, and very little risk. This DEA blockage of research represents a crime against humanity. Its casualties include glaucoma victims gone blind, pain victims denied natural plant relief while being addicted to heavy pharmaceuticals, and cancer victims dying while denied the palliative effects—and perhaps even treatment benefits—of cannabinoids from marijuana. Another DEA disservice to this country is the four-decades-long inquisition inflicted upon Americans who chose to break unjust marijuana laws and who often paid horrific prices. Like victims of the original Inquisition, they suffered in cages, but for far longer time; in many cases, decades of time. They lost jobs, family, friends, and futures. These Americans suffered not from marijuana, but from punishment for marijuana. Such DEA crimes should earn this fundamentally dishonest agency a steep drop in funding. Why on earth should the DEA’s already bloated budget get a $90 million dollar raise, boosting it to $2.5 billion dollars? Alarmingly, the IRS budget for federal drug control funding took a huge jump, from $60 million to $100 million. IRS Section 280E disallows many common business deductions if they are in violation of federal drug laws, even in legal states. As such, Section 280E is one of the sharpest arrows in the prohibitionists’ quiver. This rule, depending on how it is applied, could theoretically quickly drive any dispensary or other cannabis-related enterprise out of business. To what evil use is the IRS going to put its $40 million 2016 drug war bonus? The Asset Forfeiture Fund, of all things, takes a big jump, up from 2014 by $70 million, to $297 million. We recently had good news (hopefully) from Eric Holder on new restrictions in asset forfeiture, one of the least just of all the drug war wrongs. So why would the Asset Forfeiture Fund take a big jump? The Federal Law Enforcement Training Center got a substantial jump, to more than $48 million dollars. Their training focuses on hard-core militarization of American police, with training done by Blackwater-type spin-offs. Should we be increasing such training when the jack-boot tactics and overkill weaponry of the police now threaten American democracy to the core? Inside this wasteful spending bill are a few bits of sanity. The drug czar known as the Office of National Drug Control Policy (ONDCP) received lower funding, dropping by $52 million, mostly in reduced High Intensity Drug Trafficking Areas (HIDTA) grants. This program is in desperate need of downsizing, but unfortunately will still receive $193 million per year to inflict the harshest drug war tactics onto American communities. This drug czar still gets a half million dollars a day to lie to us about marijuana and other drugs. Another positive drop was the decline in funding for US attorneys, down $4 million to $72.6 million. Perhaps punitive prohibitionist prosecutors such as northern California’s cruel Melinda Haag will take a small hit. But that’s right, federal prosecutors don’t really need funding; they can partially fund themselves by stealing directly from the citizenry by asset forfeiture. Funding for the Drug Interdiction and Counterdrug Activities (including OPTEMPO and OCO) in the Department of Defense dropped $40 million. So much for the meager good news and cost savings in the president’s 2016 drug war budget; most of the dozens of drug war bureaucracies funded in the budget received increases. The Bureau of Prisons gets a $200 million increase, to nearly $4 billion. Why? Because our over-incarceration binge is such a good idea? One of the most damaging programs of the drug war has been the 28-year-old Edward Byrne Justice Assistance grants. These programs fund multiagency teams and incentivize them to make drug busts at the expense of other law enforcement activity. Such funding supports the worst excesses of the drug war to self-fund: militarization, bogus SWAT raids, federal charges for long mandatory minimums, and asset forfeiture. The Byrne grants laid waste to communities—especially minority communities—using jack-boot drug war tactics, and depopulated many of the males into prison. In recent years, females have been the fastest-growing segment of the bloated prison population, leading to a huge increase in children suffering the dire consequences of an imprisoned parent. 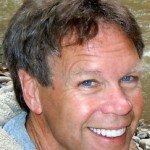 One of Obama’s worst drug war crimes has been to waste billions of his 2009 stimulus package on Byrne grants in a “stimulus for narcs.” While American communities struggled with the recession, drug war bureaucrats used these boondoggle billions to smash families, steal citizens’ assets, and cage away ever more Americans. Even George W. Bush, in one of his few positive actions as president, had tried to defund these community-destroying grants. Obama brought them back, on steroids. The fact that his 2016 budget increases their funding is unconscionable. 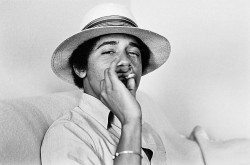 Long before he was president, Barack Obama was a community organizer; as president, he acts as a community disorganizer by literally unleashing the dogs of drug war. A rational drug war budget would acknowledge the failure and enormous collateral damage of this misguided crusade and reduce funding. Billions could be spared this counterproductive squandering, starting immediately. By removing marijuana alone from federal scheduling, tens of billions of dollars could be saved through reduced enforcement, prosecution, and incarceration. The United States has wasted roughly a trillion dollars, and countless lives, in its 40-plus years of drug war failure. Let us not waste more.